The academic programme is decided upon by the Academic Convenors (the member(s) of the Executive Committee with the General Conference portfolio), who are responsible for ensuring a good academic and geographical spread of Sections and Panels. Oddbjørn Knutsen is Professor of Political Science at the University of Oslo. His research interests lie in the fields of comparative politics, with special interest in European politics, political psychology and sociology, electoral behaviour, value orientations and ideology, and methodology and statistics. Oddbjørn has published articles in international journals and written or edited several books on these topics, including The Nordic Models in Political Science: Challenged, but Still Viable? (Fagbokforlaget, 2017), Class Voting in Western Europe: A Comparative Longitudinal Study (Lexington Books, 2006), Social Structure and Party Choice in Western Europe: A Comparative Longitudinal Study (Palgrave Macmillan, 2004). 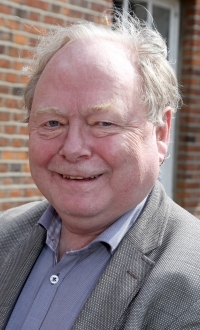 Oddbjørn Chaired the Norwegian PSA from 2010-2017 and was Chair of the Nordic PSA, 2011-2014. From 2008 to 2013 he Chaired the Norwegian national committee for evaluating promotion of assistant professors to professorship within political science, and he was a Member of the Executive Committee of the European Confederation of Political Science Associations from 2010 to 2016. He is also a member of the Research Council at EUI in Florence, from 2014–2019. Maurizio Carbone is Professor of International Relations & Development and Jean Monnet Professor of EU External Policies at the University of Glasgow. He has taught previously at the University of Pittsburgh, Carnegie Mellon University, Duke University, Johns Hopkins Bologna, University of Rome Tor Vergata, and has held official visiting research positions at the Université Libre de Bruxelles, University of Canterbury in New Zealand, European University Institute, University of Cambridge, Sciences Po Paris, University of Cologne, and University of Bologna. Professor Carbone’s research is related mainly to EU external relations, particularly foreign aid and other development-related policies. He is also interested in European integration, international development, and Italy’s role in the international arena. He was local organiser of the 2014 ECPR General Conference in Glasgow and is a founding editor of the journal Contemporary Italian Politics (Taylor & Francis). 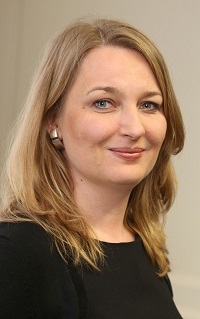 Anna M. Sroka is Assistant Professor at the University of Warsaw. Professor Sroka completed her doctoral thesis on ‘Spanish Road to Federalism’ in the Institute of Political Science at the University of Wrocław and her habilitation (second dissertation) on ‘Accountability in Studies on the Quality of Democracy’ (Examples of Poland and Spain) at the University of Warsaw. She is visiting professor at the National Distance Education University (UNED) in Madrid and has lectured in Berlin, Konstanz, Madrid, Barcelona and Valencia. Professor Sroka’s main research interest is quality of democracy. In 2015 Professor Sroka was the head of the local organizing committee of the Joint Sessions.